Adds a sound effect to the Barenziah gem when nearby. There had been a few occasions that I would walk right by a gem without realizing it, only to discover this after returning to a specific location for whatever reason. Now with this mod, I will know I am near one. 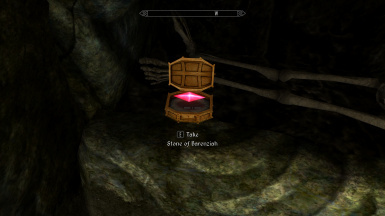 I created this mod to eliminate the need to use mods that give the exact location for each Barenziah gem. What this mod does is use a simple sound effect (similar to what the nirnroot does) when your near a gem so you will be sure to pick it up without the need for the quest marker cheat.